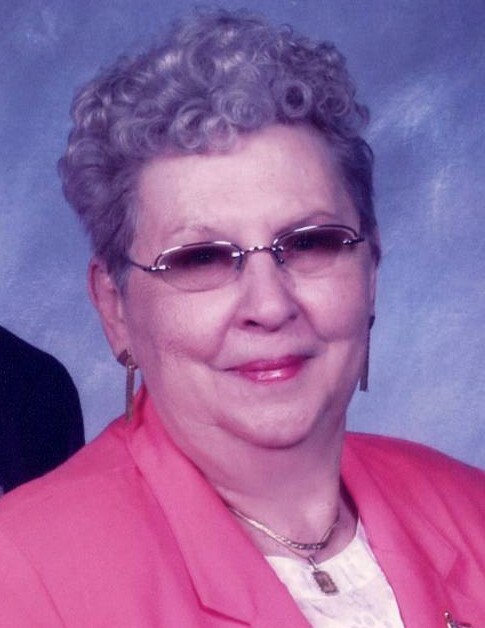 Almeda Hoerner, age 93, of Kendallville, passed away on Saturday, January 12, 2019, in her home. She was born on April 13, 1925 in Van Wert, Ohio. She was preceded in death by her parents, the late Ira and Mary Frances (Knisely) Blake and nine siblings (she was the last of the 10 Blake siblings). Her husband of 61 years, Paul Hoerner, passed away on March 4, 2014. Almeda worked at the U.S. Rubber Company for many years and retired from Broadway Avenue General Electric on May 1, 1987, following 25 years of service. She enjoyed vacationing to many spots, although her favorite was to Mackinaw City, Michigan where she and Paul loved touring the Locks and visiting Mackinac Island. She loved spending time with her family camping at Hillbilly Campground, making homemade candy and dumplings, and just sitting around her dining room table watching the birds and enjoying coffee with family and friends. She was an avid fan of all of her grandchildren, great-grandchildren, and great-great-grandchildren's numerous activities frequenting their games, dance competitions, and their many celebrations. Almeda is survived by a son, William Cox of Kendallville and a daughter, Drenda (Jim) Kurtz of Fort Wayne; five grandchildren, Tim Cox of Kendallville, Kris (Starr) Cox of Cromwell, and Paula Kennedy, Todd Kurtz, and Josh Cox all of Fort Wayne; 10 great-grandchildren, Brandon, Tiffany, Kassie, Kameron, Kaitlyn, Kenzie, Caleb, Bailey, Noah, and Faith; and seven great-great grandchildren. She was preceded in death by her siblings; Orville, Allen, Carl, Marie, Lela, Lucille, and Ada. Funeral services will be held Friday, January 18, 2019 at 1:00 PM at Hite Funeral Home with visitation from 11:00 AM – 1:00 PM prior to the service. Rev. Phillip Rigdon of St. John Lutheran Church will officiate the funeral service. Burial will take place at Lake View Cemetery. Arrangements entrusted to Hite Funeral Home.